The following camps are offered at Science Quest during the summer: Click the hyperlinks to learn more about the camp you’re interested in! Campers will do exciting and relevant science activities that will spark their creativity and link science to the world around them! Science Camp will span civil engineering to biology to geology and everything in between for an eye-opening experience. Our positive instructors will act as role models, leading campers through fun activities, cool demonstrations and exciting experiments all week long! Our instructors develop an A and B week of Science Camp so your camper can enjoy two weeks of camp without repeating activities! This year tech camp will offer camps based on skill level, rather than age. 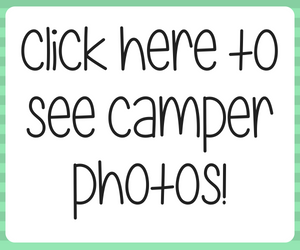 Any camper going into grades 4 – 9 can participate in Beginner Tech Camp or Intermediate Tech Camp. Please read the descriptions below to make sure that your camper is placed in the camp that will best suit them! Beginner Tech Camp:for campers with an interest in things like computers, video games, music production, or graphic design! No prior coding or software experience is required! Lessons will be taught from the most basic level to ensure that everyone can build their technological knowledge on a sturdy foundation! Intermediate Tech Camp: for campers with some coding experience using coding languages like Scratch, Python, HTML, Java, C, C++, or RobotC. Campers in this camp should know how to use a “for loop” or an “if/else-statement” and how to “Run” a chunk of code. All campers are welcome to try either skill level of tech camp, but it is important to choose the one that best matches your camper’s abilities. This way your camper can move at a comfortable pace and have fun learning with peers at the same stages of learning as they are! Science Camp Kinder is a  program that allows campers going into senior kindergarten to grade 1 to participate in all the fun that Science Quest has to offer. This camp will have specialized programming that is designed for these young creative minds. Just like Science Camp, this week will allow campers to make connections between science and the world around them through amazing demonstrations and cool experiments! Our instructors develop an A, B, and C week of Science Camp so your camper can enjoy up to three weeks of camp without repeating any activities! Science Camp Jr. allows campers in grades 2 – 3 to experience Science Camp in a fun and exciting way. 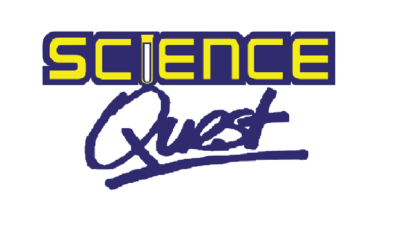 This camp will have programming involving all aspects of Science Quest camps including Science and Tech activities, tailored to the junior age range. This week will allow campers to make connections between science, tech and the world around them through interesting activities and fun demonstrations! New this year!! : Instructors will develop an A, B, and C week of Junior Camp. This means that junior campers can return as many as three weeks and not repeat any activities! Girls Quest is everything that is awesome about Science Camp, but only for campers who identify as female in grades 4 – 9! Campers will participate in a fun, high-impact science adventure designed to promote women in science and engineering. Girls Quest is instructed by a team of individuals who identify as female and are undergraduate students from Queen’s University. Our instructors develop an A and B week of Girl’s Quest so your camper can enjoy more than one week without repeating activities. Girls Quest Tech is everything that is awesome about Tech Camp, but only for campers who identify as female in grades 4 – 9! Campers will participate in a fun, high-impact tech adventure designed to promote women in computer science and engineering. Girls Quest is instructed by a team of individuals who identify as female and undergraduate students from Queen’s University. Robotics Camp allows kids to learn everything they would ever want to know about the world of robots! Campers will learn all about the coding, building, and energy required for a robot to work. Working with a Science Quest’s variety of robots such as Jade robots, Lego Mindstorms, Spheros, Ozobots and our brand new MicroBits campers have the chance to explore how robots work. 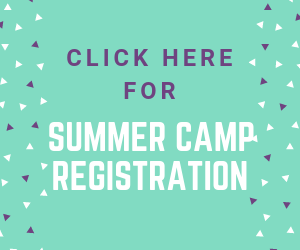 Our instructors develop an A and B week of Robotics Camp so your camper can enjoy more than one week without repeating activities and campers are for split into groups for grades 4 – 5 and grades 6 – 9 for maximum enjoyment!